Konekt is a furniture design studio by mother and daughter design duo Helena Sultan and Natasha Sultan, intent on creating tactile pieces that engage the senses. With an emphasis on the unique, the collection embraces the imperfection and randomness found in natural materials, as well as the juxtaposition of contrasting textures, markings and finishes. Konekt’s sculptural forms combine both modern and centuries old techniques to achieve an elevated, contemporary aesthetic. The collection showcases master craftsmanship, ranging from hand-stitched leather and upholstery to hand-sculpted and patinated metals. Each piece is made to order in Pennsylvania by highly skilled craftsmen and accomplished artisans. Helena, who founded Konekt in 2015, is a former photographer and award-winning documentary film maker, bringing her eye for composition and detail to furniture design. Natasha joined Konekt after working in contemporary and vintage jewelry, her interest in the sculptural form having extended itself to the larger scale of objects and furniture. The two present a multi-generational approach to design that has been cultivated through their own upbringings. An appreciation of art and design was passed down from their respective mother and grandmother, an artist herself who heavily influenced both women's approach to design with the layered textures of her abstract oil paintings and her soulful connection to materiality. 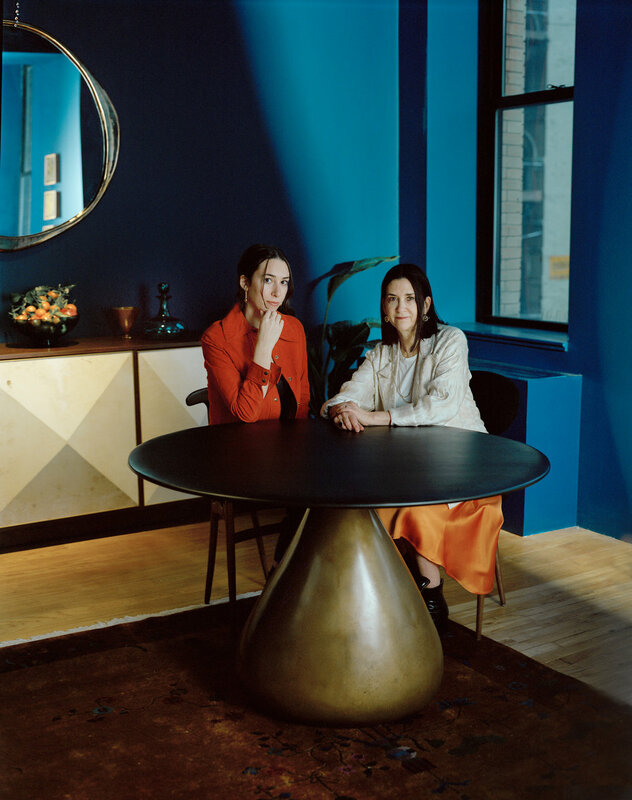 Through an innate shared eye and aesthetic, Helena and Natasha work together organically towards a common vision for refinement, simplicity and well-being.